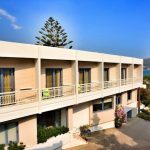 Plakias holidays in Crete. For beach lovers and explorers. 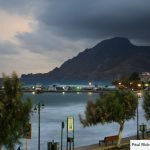 Plakias is located on the south side of the island almost opposite the town of Rethymnon on the north. 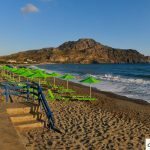 Plakias is a traditional Cretan village that isn’t overwhelmed by tourists every year, but is popular with visitors who want a quiet and traditional Cretan holiday and also naturist holidaymaker’s looking for quiet secluded beaches. Plakias sits around 40 km away from Rethymnon and the small village is built around the small cove of Plakias, and has just over 300 permanent residents. The town itself runs along one main street which runs parallel to the sandy beach. There is plenty to do in the area including leisurely walks, boat trips, scuba diving and exploring the many gorges and coves in the area. 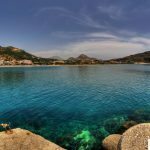 The first thing you will notice about Plakias after arriving is the lovely sandy beaches and crystal clear waters that this area are famous for. The beach has a few cafes nestled along it and Tavernas making sure you can stay fed and watered throughout the day. Popular with couples and families alike the beach stretches right around the cove and you can easily find a secluded part of the beach to relax in, remember that Plakias also attracts a number of naturists throughout the year and some areas of the beach are usually reserved for nudist sunbathers. They are normally well signposted anyway. If you don’t fancy just sitting on the beach for your two week holiday then there is plenty to do in the area. 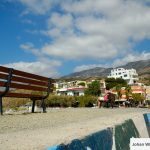 Firstly you can catch the daily boat trips that run from the harbour at Plakias and visit the surrounding villages like Sfakia and Loutro. If you want to keep active on holiday then you can partake in the water sports available in the area, including water skiing, snorkelling, windsurfing and canoeing. If water sports and sunbathing aren’t your thing then there are plenty of activities to keep you entertained on dry land. Firstly the shopping within Plakias is pretty low key, with a handful of tourist style shops to browse, although moving to Rethymnon and Chania you will find a wealth of local produce shops, jewellers and of course the famous Agora cross shaped market in Chania. 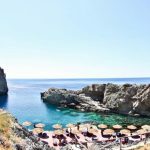 If exploring is more your style then visit Plakias Gorge or Kotsifou Gorge which is best seen during the months of April and May when the island receives a large proportion of rainfall, but with enough sunny spells to allow you to go out and walk about. Also more commonly known as Kotsyfou gorge starting off the small village of Kanevos, which sits 5 km north of Plakias village. The gorge measures about 1800 meters with a narrow entrance. Within the gorge you will see some excellent examples of past times in Crete including abandoned windmills and houses. The gorge in April or May is filled with assorted flora and fauna and a paradise for anyone interested in seeing the flowers of Crete. Also within the gorge you will find a small church in the name of Agios Nicolaos. For the even more adventurous try walking the many mountain or coastline trails, the best time to do this again is in May when the local flora and fauna is at its best. If your passion is for the local landscapes and countryside then partaking in a little bird watching is definitely for you.